Ararat Rural City Council will become more energy efficient and use renewable energy on local facilities with thanks to funding provided by the Andrews Labor Government. 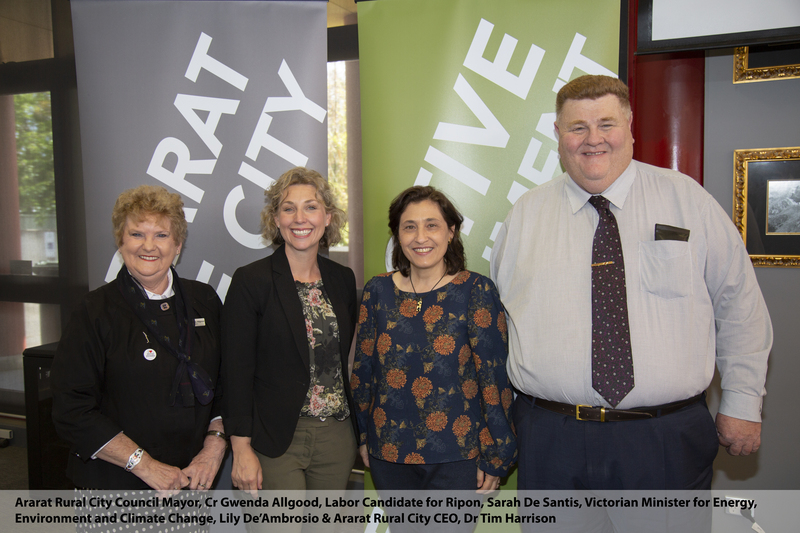 Minister for Energy Lily D’Ambrosio announced $23,800 in funding for the council in Ararat on Tuesday, as part of the Labor Government’s $3.4 million Local Government Energy Saver Program. The program will run until June 2020 and is helping resource constrained councils across regional Victoria to reduce their energy consumption and operating costs from community facilities. “We’re helping regional councils to reduce their energy bills so that more money can go towards services for local communities,” Minister D’Ambrosio said. The program provides councils with specialist expertise and resources to assess their emissions profile, undertake energy audits and co-fund energy upgrades to areas such as lighting, ventilation, heating and cooling. Ararat Rural City Council will conduct energy audits on four local sites that have high energy demands. Those venues are Ararat Regional Library, Ararat Fitness Centre, Gum San Chinese Heritage Museum and the Council Municipal Offices. Council will also be eligible to receive further funding up to $100,000 to undertake energy upgrades.